The NZ Superannuation Fund’s (NZS) quest to recover approximately $200 million lost in a soured Portuguese loan deal in 2014 has been deferred for at least two-to-three years. After losing an appeal last week to hear the case in UK courts, NZS – along with co-appellants including Goldman Sachs – must now pursue the claim via the Portuguese legal system. Along with 10 or so other global investors, in July 2014 NZS pitched in about NZ$200 million to a roughly US$835 million loan to the-then Banco Espírito Santo (BES) via a Goldman Sachs-built vehicle, Oak Finance. Just weeks after the deal went through BES went bust with the Oak Finance loan ultimately lodged in a ‘bad bank’ by the Portuguese central bank. Originally, the Oak loan was understood to have been transferred to BES successor bank, Novo Banco, which took over certain liabilities. While NZS et al lodged claims in Portuguese courts, the group sought to fast-track a result through the UK legal system, arguing the jurisdiction question in a series of appeals. Last week the UK Supreme Court scuppered the final appeal in a ruling that confirmed European legal agreements that recognise the debt restructuring powers of member central banks. According to the UK Supreme Court decision, the Portuguese central bank right to make debt ‘reorganisation directives’ superseded the NZS/Goldman Sachs jurisdiction arguments. “It is binding in Portuguese law in either case, unless and until it is set aside by a Portuguese court,” the latest UK ruling says. Last week a UK-based hedge fund, Winterbrook Capital, mounted another legal assault on Novo Banco, arguing certain of the bank’s debt securities were in default due to its exposure to the Oak Finance loan, the Financial Times (FT) reported. “Winterbrook argues that the central bank’s decision that this loan should remain at the bad bank impacts the guarantee of Novo Banco’s senior bonds, meaning that an event of default has been triggered,” the FT article says. Novo Banco is already facing several other legal challenges around BES debt including from global investment giants BlackRock and PIMCO. Late in June Novo Banco issued about €400 million of subordinated debt to “strong investor demand”, according to news reports. The UK Supreme Court decision says the NZS/Goldman Sachs is “a case in which the fact on which jurisdiction depends is also likely to be decisive of the action itself if it proceeds”. 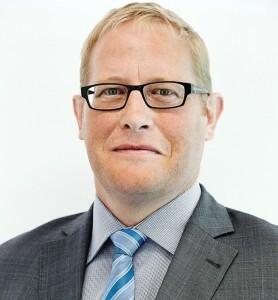 Meanwhile, NZS chief, Matt Whineray, formally took charge this month after a four-month stint as interim CEO. Whineray, previously chief investment officer (CIO) at the almost $39 billion fund, replaced Adrian Orr, now Reserve Bank of NZ governor. NZS has yet to decide whether it would recruit a new CIO to replace Whineray, the spokesperson said.